No one denies that the human being is a complex and wonderful creature. Strictly speaking, we are a machine working at its best. In order not to damage us, we need what surrounds us. Every meal we eat maintains our balance. In the end, that’s all that counts. Whatever we eat, gets broken down and divided, and our digestive system is smart enough to take only what is necessary, instead of retaining all of it, undifferentiated. The human body is made up of over 25 chemicals. The chemical’s percentages vary significantly from one another. Oxygen represents about 65%, carbon 18.5%, hydrogen 9.5%, and nitrogen 3.2%. Then there is a group of substances found in amounts from 0.1% to 1.5% – minuscule, yet extensive. These are called macroelements. If there were a macroelement Olympics, then sodium would be the champion. It’s virtually everywhere, you can’t even take two steps without it. Potassium stands firmly in second place, as it is sodium’s playmate. The competition continues between calcium, the one that keeps our bones and teeth in a great shape, and magnesium, which many people ignore, but it is assiduously working without being seen. And because, in a contest, it’s more important to compete than to win, let’s give some honorable mentions. The first one should go to chlorine, the fighting ion, which holds against the bicarbonate in its attempt to balance the pH. Next, we give notice to phosphorus, the energy factory worker and cells guardian. And let’s not forget sulfur, which it is said to be pretty nifty, but all-important. is the percentage of sodium in the human body. Medicine is difficult. Medical students are constantly complaining about it, and they are right. So, to better understand what is happening, I created an analogy. Let’s say that sodium is a beautiful girl and the water particles are the boys. When the beautiful girl appears, boys gather all around her and start to show off their muscles. 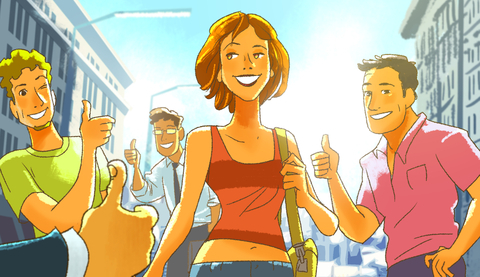 The more beautiful girls around (sodium molecules), the more guys (water particles) will gather around them. It’s the explanation for a phenomenon called osmolarity 1)”Remington: The Science and Practice of Pharmacy” – book published by Pharmaceutical Press in 20112)”General, Organic, and Biological Chemistry” by H. Stephen Stoker, book published by Cengage Learning in 2012. Well, this is just the premise for really important things. Under certain conditions, this is one of the most important mechanisms that triggers hypertension 3)”Pathophysiology: A 2-in-1 Reference for Nurses” – book published by Lippincott Williams & Wilkins in 2004. It happens when you eat too much sodium chloride. Before swearing you will never try something like that, remember it’s just the chemical term for common salt. Even if you don’t use a lot of salt, it is hidden in your groceries from the supermarket. When you eat salt in moderation, it has a beneficial role: it fixes the water in the body. Otherwise, if you don’t eat an adequate amount of salt, even if you drink plenty of water, you will eliminate it without any effect, and your body will not be able to retain the necessary quantity. And then you will be asking yourself: Why am I dehydrated, if I drink a lot of water? But lots of people consume salt in excess. In this case, two phenomena with the same mechanisms are happening. Sodium (girls), which exist in the blood vessels, will attract a lot of water (boys) from cells (their homes). That’s how dehydration in cells and excessive water in main blood vessels occur. Arteries, which are like rubber hoses, will become tense, because their job is to push the blood further. And that’s how you get dry cells and a substantial amount of water in your arteries 4)”Sodium Intake in Populations:: Assessment of Evidence” – book published by National Academies Press in 2013. Salt consumed in excess does not produce complete dehydration (meaning you lose water from the body) like it does when you eat too little salt. Instead, it creates cellular dehydration, which means that water moves from the cell into the extra-cellular space. So, water is not lost, it just relocates. But we have a body that knows when cells don’t have enough water and the feeling of thirst appears – even if the body is full of water, in this case. On the other hand, dehydration comes with other problems. And most problems, you’ll find, concern the king of cells – the neuron. There, the lack of water produces severe migraines. Once the water is lost, the cell becomes smaller, you will start to feel dizzy, and then the headaches will develop. Moreover, neurons and the connections between them, the synapses, depend on some sodium channels, which fine tune the signal intensity 5)”Structure of sodium channels different than previously believed” – article published in ScienceDaily on April 17, 2014. Problems occur if there is too little sodium; without it, not even channels work properly. So, the intensity won’t match your needs, and you will start to feel lethargic or asthenic. You realize that there is an ideal amount of sodium, so you won’t fall short or have too much. But how much is too much? This is hard to say for sure. Not even the experts agree entirely. After recent studies, an amount between 2,600mg and 4,900mg of sodium is the optimal daily dose for the body 6)”Compared With Usual Sodium Intake, Low- and Excessive-Sodium Diets Are Associated With Increased Mortality: A Meta-Analysis” – study conducted by Niels Graudal, Gesche Jürgens, Bo Baslund and Michael H. Alderman, published in American Journal of Hypertension on March 20, 2014. That means 1-2 tablespoons of salt per day. Remember, most foods nowadays already contain plenty of salt, so be sure to check the labels. is the percentage of potassium in the human body. The second element that I am going to talk to you about goes hand-in-hand with the first one – sodium. Let me explain how it all works. Let’s imagine the neuron, you know it from school as a star with a tail. 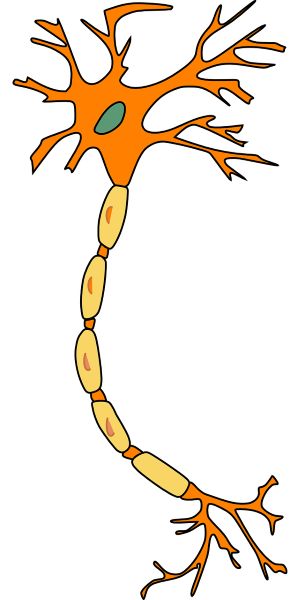 This neuron is covered with a membrane, which is full of small holes like a net. In the side closest to your body, there is a lot of potassium. While outside the membrane, there is a lot of sodium. Let’s say you are with your girlfriend and you want to make a move, or you feel her caress. Even if you activate your muscles, or you feel something, an electrical impulse is sent by your neurons. With Formula 1 speeds – up to 400 km per hour, or 100 meters per second (if it helps you better comprehend how fast this is) 7)”Essential Cell Biology” by Bruce Alberts, Dennis Bray, Karen Hopkin, Alexander Johnson, Julian Lewis, Martin Raff, Keith Roberts şi Peter Walter, book published by Garland Science in 2013, and you don’t even have 2 meters from head to toes! In order to achieve such amazing speeds, a trick must be done. Potassium must get out of the cell and sodium must get in. This process happens in a passive way and it is called membrane depolarization. After the impulse has passed, potassium and sodium ions must return to their original places. This time, they are passing through some natrium-potassium pumps (natrium is just an ostentatious name for sodium), which look like subway entrance gates 8)”Pumps, Transporters, and Ion Channels” by Francisco Sepulveda and Francisco Bezanilla, book published by Springer Science & Business Media in 2005 and republished in 2011. Another important role of potassium is to transform glycogen into glucose. When we eat, a part of the glucose is wrapped and stored in the liver and muscles in a more compact form, called glycogen, to be used later 9)”Potassium” by Chris Woodford, book published by Cavendish Square Publishing in 2002. 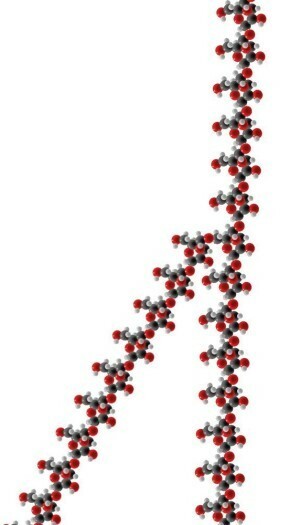 If you want, think about glucose molecules as a bunch of cotton strings. In order to be stored, the strings must be bound up and made into a ball of thread. That’s glycogen. Between meals, your body still needs glucose for energy, so it takes it through glycogen decomposition. Decomposition made by the master of ceremonies, which is, you’ve guessed, potassium. Without it, the ball of thread will stay as is. A lot of studies have shown that potassium takes part in the regulation of arterial hypertension. 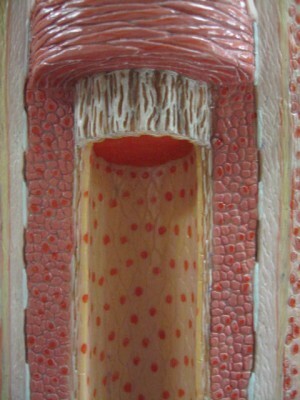 Arterial network is nothing more than a series of tubes smaller and smaller, which lead the blood to where it is needed. If, for any reason, some blood loss occurs, the tubes will shrink by themselves in order to limit the amount of blood loss 10)”Advanced Therapy in Hypertension and Vascular Disease” by Emile R. Mohler and Raymond R. Townsend, book published by PMPH-USA in 2006. So far, everything is fine. It is normal for the body to defend when blood loss occurs. The same mechanism spontaneously appears in hypertension. Without any bleeding, arterioles (tiny arteries at the end of bigger arteries) shrink and the heart must pump more to overcome the resistance. Tension grows in the artery’s walls and – “spoof” – you get hypertension. But potassium comes to the rescue and prevents arterioles from contracting without reason. And so it keeps you safe from hypertension. Knowing the effects of potassium, it’s easy to figure out what the effects are when we have a lack of potassium in our body. First of all, without enough potassium, neural impulse works slower, which is obvious at the heart level because you will start to get palpitations. Moreover, muscle weakness appears for the same reasons. And if vascular resistance is not calmed down by potassium, your blood pressure can increase. At a certain age, potassium helps protect you from strokes 11)”Potassium Intake and Risk of Stroke in Women With Hypertension and Nonhypertension in the Women’s Health Initiative” – study conducted by Arjun Seth, BS, Yasmin Mossavar-Rahmani, PhD, Victor Kamensky, MS, Brian Silver, MD, Kamakshi Lakshminarayan, MD, Ross Prentice, PhD, Linda Van Horn, PhD, and Sylvia Wassertheil-Smoller, PhD, published in Stroke on September 4, 2014. How much do you need? Studies show that about 4,700mg per day 12)”Potassium (Understanding the Elements of the Periodic Table)” by Greg Roza, book published by Rosen Publishing Group in 2007 is adequate. An idea, you could try eating 10 bananas in a day to reach this amount. Still, my advice would be to combine fruits and vegetables, in reasonable quantities. Otherwise, you risk re-becoming a monkey. Or worse, you can have trouble with your health. is the percentage of calcium in the human body. Calcium is the basic element for bones and teeth. 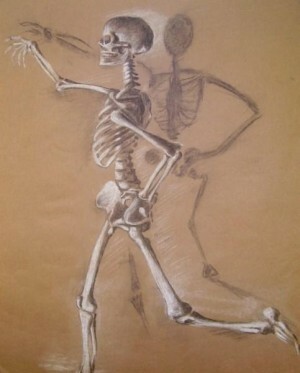 Without it, your bones will get thinner over a very short time span. And you will develop osteoporosis. A disease in which, due to the lack of calcium in your body, bones become weak and brittle. So, you are more prone to fractures 13)”100 Questions & Answers About Osteoporosis and Osteopenia” by Ivy M. Alexander, Karla A. Knight, book published by Jones & Bartlett Learning in 2009. However, too much calcium is not a good thing either. It will cause hypercalcemia (excess of calcium in blood) and can affect the absorption of other minerals. Many scientists have scratched their heads for a long time until they finally came to the conclusion that 1,000 – 1,200mg per day is enough. Actually, this interval can slightly vary, but, like in other element’s cases, it is important that you don’t push your luck. A 2,500mg quantity can do you more harm than good. If you need a calcium supplement, remember: do not take it on its own! To get where it needs to go in the body, it needs magnesium 18)”Without Magnesium, Vitamin D & Calcium Alone Will Not Prevent Bone Fractures” – press release by Nutritional Magnesium Association on March 6, 2013, zinc, and also vitamin D 19)”Calcium, vitamin D, milk consumption, and hip fractures: a prospective study among postmenopausal women” – study conducted by Diane Feskanich, Walter C Willett, and Graham A Colditz, published in The American Journal of Clinical Nutrition in February 2003 and K 20)”Effects of vitamin K on calcium and bone metabolism” – study conducted by Armin Zittermann, published in Current Opinion in Clinical Nutrition & Metabolic Care in November 2001. Keep that in mind when you are eating. Studies show that dairy products on their own do not help your bones. So, try some green lettuce on your cheese sandwich. is the percentage of magnesium in the human body. Magnesium was and still is the Cinderella of the macroelements. Although it’s not famous, it’s extremely important, being involved in more than 300 enzymatic reactions. Anything from protein synthesis, bone health, to the way you sleep at night is controlled by magnesium 21)”Magnesium in Human Health and Disease” – book edited by Ronald Ross Watson, Victor R. Preedy and Sherma Zibadi, published by Humana Press in 2012. High levels of magnesium were associated with decreasing risk of type 2 hyperglycemia. It prevents osteoporosis, helps bone formation, and reduces blood pressure. Plus, studies suggest that low magnesium levels may cause headaches 22)”Oral magnesium load test in patients with migraine” – study conducted by Anita Trauninger, MD, Zoltán Pfund, MD, Tamás Koszegi, MD, and József Czopf, MD, published in Headache: The Journal of Head and Face Pain on April 19, 200223)”Role of magnesium in the pathogenesis and treatment of migraine” – study conducted by Christina Sun-Edelstein and Alexander Mauskop, published in Expert Review of Neurotherapeutics in March 2009. Now that I’ve convinced you of its importance, you ask yourself: How do I take a cup of magnesium? Well, you can’t. Although scientist estimate that it is the 9th chemical element of importance in the Universe, you cannot find it on its own. That’s because it is very reactive. I told you it has work to do. So, if a doctor tells you to take magnesium, don’t let him get away that easy. Ask him clearly: What type? But even better, to avoid doctors, eat magnesium-rich products daily. There are plenty: spinach, lettuce, and other green stuff (chlorophyll contains magnesium); nuts and seeds; dark chocolate and so on. is the percentage of chlorine in the human body. I don’t know about you, but I’m not at all a fan of the chlorine smell, especially after cleaning. Maybe that’s why I’ve never been a fan of cleaning, because that awful smell lingers in my mind. Pff, I would prefer a mouth full of dust rather than the smell of chlorine. I was lucky no one asked me when I was a child to do the cleaning. And then, there is water from the sink. Some time ago, I was laughing with my friends about drinking water with chlorine. We knew too little and frowned upon what we did know. Actually, chlorine is an extremely important element for all human body means and for modern medicine. How is that possible? Well, I will tell you right away. If you believe the evolutionary theory, we’ve all been some form of animal that lived in the sea. That means in salt water. Remember from chemistry class the formula for salt? It’s one of the most known: NaCl. It’s a combination between natrium (sodium) and chlorine. So, chlorine has been with us from the beginning. Time passed, and we started walking on two feet; we became hairier, and then we started balding. But on the inside, our needs were the same. First of all, it is essential for us to know that we have chlorine in our body. And it’s everywhere. From our liver to our tiniest cell, even in our system board, the brain. However, by far, the biggest quantity of chlorine is in our stomach. The reason you can eat paper or toothpaste is because your stomach doesn’t care. It contains an acid that melts them all. Which, you’ve guessed, contains chlorine. By far, the most important role of chlorine is to manage our pH. Normally, the pH of the human body is somewhere between 7.36 and 7.44. Anything less than 7.36 is called acidosis. Anything more than that is called alkalosis. pH is extremely important – too little or too much is always a problem. There are lots of ways to keep it within that range, but one of the most important ways is the bicarbonate-chlorine pump. Remember the analogy with the sodium and the subway gate? The same mechanism works here. The two ions are always arguing. This means that as one of them is growing, the other one is diminishing. And the other way around. When you are vomiting, it doesn’t matter if you bought mushrooms from a strange guy or you just drank too much, you are loosing a lot of stuff. Through that stuff, you are loosing a lot of chlorine. Because, as previously discussed, our stomach contains plenty of chlorine. Bicarbonate finds out that its enemy is now lost, so it comes in at a bigger and bigger quantity. Bicarbonate is the most important ion for pH raise. So, you are getting a much higher pH, which in medical terms is called metabolic alkalosis 25)”Foods & Nutrition Encyclopedia” by Marion Eugene Ensminger and Audrey H. Ensminger, book published by CRC Press in 1993. Symptoms occur in the motherboard. Suddenly, you feel confused, sleepy, apathetic, and it can get as serious as seizures. The same thing can occur if it happens at the other end (if you have diarrhea). In the last decades, chlorine has been revolutionizing the pharmaceutical industry. Some time ago, in hopes of not making the toilet your new home, you would take a handful of aspirin while praying to get rid of diarrhea, but now, you can get rid of your problems with a single pill. All thanks to chlorine, which today is incorporated in the production of the majority of drugs on the market 26)”Chlorine and Health” – study conducted by Gordon W. Gribble and published by American Council on Science and Health in 1995. And because it’s so good at killing germs, it is extremely important for antibiotics, as well as antifungals, allergies, and even for depression. Actually, the list could go on and on. However, my advice would be to buy your chlorine from the pharmacy and not pour yourself a glass of chemicals used to clean the floors. Being such an unstable element, chlorine can make you feel better or it can send you directly to the doctor, who might ask if you confused the bottles. Of course, that is, if you manage to reach the doctor in time. is the percentage of phosphorus in the human body. What do physical activities and learning have in common? Well, both require energy. Everywhere you look, someone is always telling you that you have to be energetic. At a job, someone ambitious and full of energy is needed. During a football game, the lazy, un-energetic one always loses. And so on. What do they mean when they say energy? We do not function on batteries, or photosynthesis, and we don’t stop at the gas station to fill our tanks. The answer has something to do with phosphorus. Yes, you have it in you. 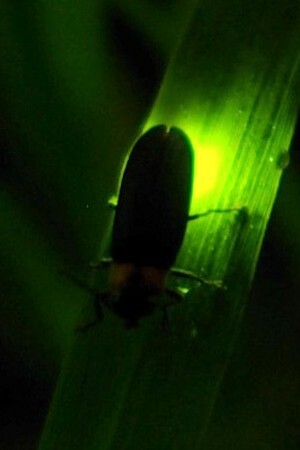 You’re a little like fireflies, but you don’t glow in the dark. Every reaction in our body needs energy. It’s taken from a molecule called ATP (adenosin tri-phosphate). Simply, the ATP molecule is like a battery with two charging levels. At first, it contains three phosphorus ions, in the form of phosphates. To free a certain quantity of energy, a phosphorus ion detaches from the ATP molecule. You are left with ADP (adenosine di-phosphate) and a large quantity of energy ready to be used. ADP can give a boost of energy, after that it needs to recharge. That means that without phosphorus, you’re like a car with a dead battery. Phosphorus can also be found, just like calcium, in our bones and teeth. DNA nucleic acids are bounded together through bonds that also contain… phosphorus. And each cell, to the last one, has a membrane composed of phospholipids, which are made of phosphorus and lipids 27)”Advanced Human Nutrition” by Denis M Medeiros and Robert E.C. Wildman, book published by Jones & Bartlett Learning in 2013. Lots of things can be said about phosphorus, but not that it’s not a hard worker. is the percentage of sulfur in the human body. If you ever smelled something with a lot of sulfur, you wouldn’t forget the scent. It simply stinks! But to be honest, it doesn’t always smell that bad. In little doses, you might even like it. 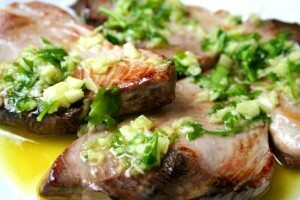 For example, grapefruit and garlic owe their characteristic smell to some chemical compounds with sulfur. In the human body, sulfur is part of some amino acids and it is involved in protein formation, being sort of a molecular glue. It is found especially in cartilages, nails, and hair. So, it is very important. Fortunately, you don’t have to worry about where you get your sulfur. You can absorb it easily, by eating normal. Just in case a disease is present, like arthritis, additional sulfur is needed to enable the fixing of the cartilages. Now you know about the macroelements. So next time the doctor comes to you, taps you on the back, and gives you a potassium pill, do not ask for grown-up pills. Actually, potassium is all you need to get back on your feet. And with calcium, you might even start running all of a sudden. And if you take magnesium, you will feel like you never felt for a long time. And don’t forget to check if your food has enough salt. You only need to give your body what it needs. You’re in charge of the supplies. Otherwise, it can handle itself. Anyway, your body is better at chemistry than you are. It’s a miracle called life. Alexandru Carp is a medical student and a writing enthusiast.